Kylie is a lecturer in the School of Nursing and Midwifery. In addition to teaching responsibilities, Kylie is currently completing her PhD using grounded Theory methodology and exploring the role of nurses in providing Primary Health Care to remote communities. Kylie has worked as a Registered Nurse for over 20 years. She has experience in acute hospital care as well as community health and Remote Aboriginal Primary Health clinics. Australian Council of Nurses member. Nurse Practitioner and advanced nursing practice. Doctor of Philosophy, Edith Cowan University, 2018. 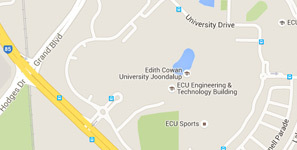 Bachelor of Science (Nursing) With First Class Honours, Edith Cowan University, 2011. Bachelor of Nursing, New Zealand, 1998.
International Orientation Resource, Edith Cowan University, School of Nursing and Midwifery Strategic Initiative Fund, 2016 - 2019, $8,000. Byers, L., Michell, K., McCullough, K., (2018), Awareness, acceptability and access to screening mammography for remote Aboriginal women. Health Promotion Journal of Australia, 29(3), 366-367, DOI: 10.1002/hpja.40. Allen, E., Williams, A., Jennings, D., Stomksi, N., Gouke, R., Toye, C., Slatyer, S., Clarke, T., McCullough, K., (2018), Revisiting the Pain Resource Nurse Role in Sustaining Evidence‐Based Practice Changes for Pain Assessment and Management. Worldviews on Evidence-Based Nursing, 15(5), 368-376, DOI: 10.1111/wvn.12318. Wilkinson, A., Slatyer, S., McCullough, K., Williams, A., (2014), Exploring the Quality of Life at the End of Life (QUAL-E) Instrument with Australian Palliative Care Hospital Patients: Hurdles and directions. Journal of Palliative Care, 30(1 ), 16-23, Montreal, Canada , Institut universitaire de geriatrie de Montreal.